Like his previous book about Mahler (Mahler Remembered) the focus here is on alerting us to fact of Mahler’s towering genius, and how this genius was inextricably bound up with his identity as a Jew. Overlaying this, as ever, is the lachrymose vision of Mahler the saintly Jewish victim of gentile injustice. Lebrecht’s new book is another reminder of how Jewish intellectuals have used their privileged status as self-appointed gatekeepers of Western culture to advance their group interests through the way they conceptualize the respective artistic achievements of Jews and Europeans. 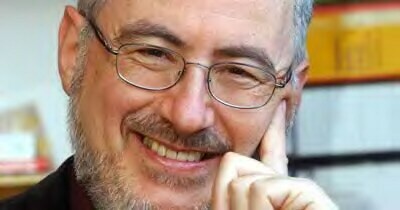 The clear tendency among Jewish intellectuals has been for Jewish achievement to be overstated and particularized and made a locus for ethnic pride. Meanwhile, European achievement is downplayed, or where undeniable, universalized and thereby neutralized as a potential basis for White pride and group cohesion. Accordingly, the racial origins of Shakespeare are de-emphasized (scarcely an Englishman or European) and he is instead held up as an exemplar of a ‘universal human genius’ whose astonishing abilities are supposedly latent in all branches of human family (see, for example, Harold Bloom’s Shakespeare: The Invention of the Human). The alternative approach has been to claim that Shakespeare’s works were actually written by a Jewish woman named Amelia Bassano Lanier. Contrastingly, Mahler’s achievement is held to be specifically and inseparably Jewish, and a reflection of Jewish intellectual brilliance. This raging hypocrisy is bad enough. However, the duplicity is made the worse by the vast cognitive dissonance involved in simultaneously denying the reality of a collective White racial achievement, while stridently affirming the reality of a collective intergenerational guilt that must urgently be instilled in all White people. Intellectual consistency is ostensibly less important here than spreading the meme that: Whites can only be criticized as a group, never praised — while non-Whites (especially Jews) can only be praised as a group, never criticized. The cult of Mahler since the sixties is an object lesson in the role of Jewish ethnic networking and ethnocentrism in the construction of what now passes for Western culture. Lebrecht openly acknowledges that the core of Mahler’s support, even during his own lifetime, had a foundation in Jewish ethnic networks. 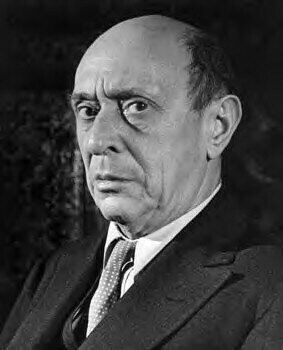 He points out that: ‘Not just in Berlin… but in Hamburg, Munich, Leipzig and Vienna, the Jewish middle classes formed the core of Mahler’s audience… Mahler would have known, much as Saul Bellow and Philip Roth did in Chicago and New York, that there were people who queued up for his next work. They might not understand it or even like it, but they demanded the installment as of right, as their stake in his story. It was this public that gave Mahler the confidence, in the face of racist opposition, to carry on composing.’ Mahler’s core group of friends, associates and supporters were no exception. Mahler’s wife to be, Alma Schindler, noted in her diary that Mahler’s friends were ‘all conspicuously Jewish’. From then to now the propagation of the cult of Mahler has been predominantly a Jewish affair. The cult of Mahler as noble Jewish victim was first given impetus by Arnold Schoenberg (himself an ethnocentric Jew and Zionist) who ‘canonised Mahler as “this martyr, this saint” and in a Prague lecture in March 1912 announced: “Rarely has anyone been so badly treated by the world; nobody, perhaps, worse.”’ Frankfurt School music theorist Theodor Adorno took up the theme in 1960, affirming that: ‘Mahler’s tonal chords, plain and unadorned, are the explosive expressions of the pain felt by the individual subject imprisoned in an alienated society… They are also allegories of the lower depths of the insulted and the socially injured… Ever since the last of the Lieder eines fahrenden Gesellen Mahler was able to convert his neurosis, or rather the genuine fears of the downtrodden Jew into a vigour of expression whose seriousness surpassed all aesthetic mimesis and all the fictions of the stile rappresentativo.’ Over the fifty years since these statements were made, the Mahler cult of Jewish victimhood has become a cottage industry. That alienation,’ Lebrecht asserts, ‘so prevalent in a culturally diverse twenty-first century, gives a vital clue to Mahler’s contemporary relevance. In an age when a half-African, part-Muslim orphan from Hawaii could rise to become President of the United States of America, Gustav Mahler is finally able to find a home in our lives.’ If this is indeed true, it surely indicates the extent to which Jewish sensibilities have indeed become ours – the culmination of a triumphant group evolutionary strategy where the ‘otherness’ of a Jewish culture, once at the periphery of European life, has now successfully established itself at the heart of Western high culture. ‘You’ve caught me at a terrible moment,’ he said when I turned up to talk about Mahler. ‘I really didn’t welcome intrusions this past year. But Mahler I couldn’t refuse.’ He had felt a kinship with Mahler since he studied in 1950s Vienna, seeing hatred in the eyes of his landlady, his tutors, the shopkeepers. ‘The streets I walked on I could have been hauled off just a few years before,’ he said. Kitaj equated anti-Semitism with anti-modernism. ‘Jewish brilliance’, he said, ‘made the modern world.’ Jews like Mahler and Kitaj were agents of change, architects of human unease. The Judaism in which Gustav Mahler is raised is lukewarm, mainstream Orthodox with infusions of other trends. He encounters Hasidic melody from itinerant klezmer bands, their music shifting, with a nod of the head, from morbid to manic and back. Klezmer is a music that obeys no code of conduct, unlike the military bands that parade daily in Iglau’s town square. A collision of army discipline and smiley Jewish individualism is imprinted on the boy’s mind. The first language he hears at home is Yiddish, a dialect made up of German, Hebrew, Aramaic and Slavonic terms with a syntax all its own. Known as mameloshn, mother’s tongue, Yiddish allows Jews to communicate in code. Double negatives are designed to confuse alien ears, along with a courtesy so elaborate that only by listening to tone and observing hand motions can anyone be sure whether a word is flattery or insult. It says something of the extent of what Wagner called the ‘Jewification’ (Verjudung) of contemporary Western musical taste that audiences actually have come to prefer the Yiddish-inflected musical irony of Mahler over the sincerity of a Beethoven or a Bruckner. Of course a professed love of Mahler’s music cannot be taken at face value these days – often involving extra-musical motivations like a desire to make (through such a statement) tacit declaration of one’s political rectitude and moral purity. Mahler’s closest affinity with a maker of the modern world was with Sigmund Freud, four years his senior and from a similar Czech-Jewish provincial background. Both built works out of incidents in their early lives. Freud predicated the Oedipus Theory on memories of urinating in his parents’ bedroom, being his mother’s favourite and seeing his father racially humiliated. Mahler, a boy who saw five of his brothers carried in coffins from the family tavern where the singing never stopped, composed a child’s funeral in his First Symphony with a drunken jig… Both men, intellectually Jewish, could sustain discrete lines of thought within a single argument. Freud’s free association is modelled on Talmudic discourse where rabbinic opinions from various places and centuries preclude a straight logical line. Mahler’s interpolation of stray horns and folk-songs reveals the same methodology… Both used their Jewishness as a shield and a sword. 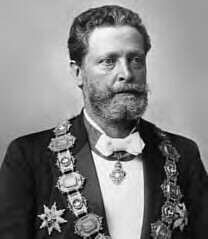 ‘Because I was a Jew I found myself free from many prejudices which limited others in the employment of their intellects,’ said Freud, ‘and as a Jew I was prepared to go into opposition and to do without the agreement of the “compact majority”.’ Being Jewish, said Mahler, was like being born with a short arm, having to swim twice as hard. Being ‘three times homeless’, he could ignore fixed rules. Both men felt a sense of mission to improve the world, undertaking a tikkun olam to assist and complete God’s work of creation. Picture the scene: Anxious little Jew about to marry blond bombshell, trips over his prayer stool and falls flat on his face, ha-ha, no one laughing louder than the priest, Josef Pfob. Is this what really happens? My scrutiny of the spot suggests an ulterior scenario. Above the altar is a Baroque sunburst with four Hebrew letters at its center—yod, heh, waw, heh—the tetragrammaton that is the unpronounced Jewish name for God. Gustav Mahler looks up as he sinks to his knees, misses his footing and falls. Alma thinks he trips because he is so short. But Mahler has just seen the God of the Jews. Guilt and betrayal clog his gullet. He needs a moment to collect himself before he takes Christian vows. He falls over to gain time. Alma and the priest giggle at his discomfiture. He does not belong in church. After the act of conversion he never attends mass, never goes to confession, never crosses himself. The only time he ever enters a church for a religious purpose is to get married. His wife calls him a ‘Christ-believing Jew’ but the prayers he offers in mortal anguish, scrawled in his final score, are only to God the Father. Mahler, officially a Catholic, remains a monotheist and a Jew. He is a relic of an unending persecution, a kind of marrano, like one of thousands who went underground for centuries in Spain after Ferdinand and Isabella started burning the Jews in 1492. To Viennese anti-Semites, he is the archetypal Jew. How does Mahler pack so much emotion into so trite a word? The ‘Ewig’ enigma resisted me for years until a chance sighting at a 1988 exhibition in Vienna cracked a subconscious code. It was the fiftieth anniversary of Hitler’s Anschluss, and among the artefacts was a photograph of a railway station festooned with a banner: ‘Der Ewige Jude’, the eternal Jew. Of course, ‘Ewig’, pronounced eh-vish, has a specific connotation in the German mind. It is the Eternal Jew, the one that killed Christ and is condemned to wander the beloved earth, a touchstone of Christian theology. In 1940 Joseph Goebbels makes it the title of a film whose purpose is to justify genocide. ‘Ewig’ and Jew are linked in the German mind. The construction of Mahler as Jewish genius is a fascinating case study of the social identity processes at work among a subset of the Jewish intellectuals. From a group strategic perspective it is the psychological complement to exaggerating anti-Semitism as a way of promoting Jewish group cohesion. It consists of three related approaches, all of which are starkly evident in Lebrecht’s latest book, and all of which are entirely predictable in accordance with social identity theory. Firstly, inflate the significance of a Jewish figure’s intellectual or artistic achievement to the point where it is held to be of ‘world changing’ magnitude. Secondly, accentuate the Jewish origins and affiliations of the figure so that that his ‘world-changing’ achievement is held to be the natural expression of his Jewish origins and identity. 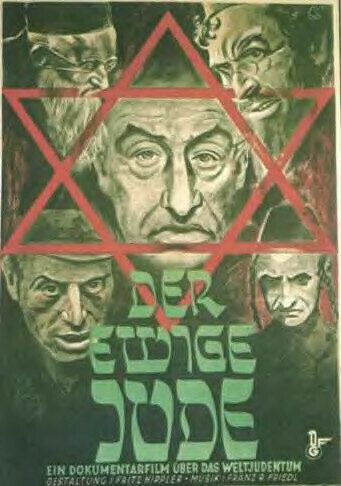 Lastly, portray this brilliant Jewish world-changing figure as subject to the unjust persecution of a hostile, and deeply immoral, non-Jewish outgroup (in this case the society of fin de siecle Vienna). While crude, this is a highly effective strategy and a compelling example of a type of intellectual activity which, in essence, constitutes a form of ethnic warfare. Adorno, T. (1963) ‘Centenary Address, Vienna 1960’ in Quasi una fantasia – Essays on Modern Music, Translated by Rodney Livingstone, Verso, London & New York. 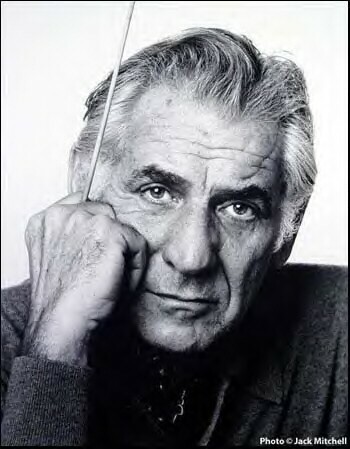 Bernstein, L. (1967) “Mahler: His Time Has Come.” High Fidelity. April. 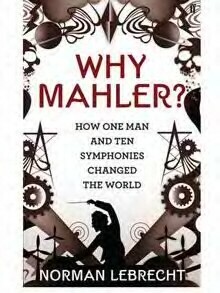 Lebrecht, N. (2010) Why Mahler? How One Man and Ten Symphonies Changed the World, Faber and Faber, London.